Pre-registration for a Birthright Israel trip is open year-round – there is no need to wait! Submit a $250 refundable deposit. We highly recommend completing your entire Birthright Israel Application on the first day of registration to improve your chances of being selected. Select specific trip dates and types — select as many as you’d like! The interviews are just to confirm that you are eligible for the Birthright Israel gift and have no bearing on trip placement. Always answer honestly! Who Gets Selected for What Trips? Kesher assigns applicants to trips according to when you complete your application. We consider your application to be complete after you have fully finished the Birthright Israel Application – including submitting the refundable trip deposit (Trip Deposit?). We recommend completing the Birthright Israel Application with Kesher on the first day of registration to give yourself the best chance of getting on the trip you want. All applications received on the first day will be treated the same no matter what time of day they are received! In addition to honoring a first-come-first-served registration policy, priority trip selection status is granted to applicants who have applied in the past as well as applicants who are about to turn 27 and age out of the program. As part of the Birthright Israel Application, you will need to submit a $250 refundable trip deposit. All Birthright Israel applicants must submit a refundable deposit in order to be considered for a trip. The deposit can only be submitted online via the “Payoneer” payment service. You will have the option to pay the deposit via credit card or via electronic check (a $10 non-refundable processing fee applies). Yes! This really is a free trip. Your deposit will be refunded so long as you go on the trip, or so long as you withdraw before getting officially confirmed on a trip, or so long as you cancel off a confirmed trip at least 65 days before departure. You will only lose your deposit if you were confirmed on a trip and canceled after the 65-day deadline, or if you fail to abide by the basic rules of Birthright Israel. Why is a deposit even necessary? 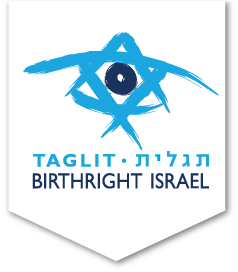 Birthright Israel requires all applicants to submit a refundable security deposit in order for your application to be considered complete. There is a good reason for this rule. Because the Birthright Israel organization spends a great deal of money on each participant, the refundable deposit is required to ensure that you really do intend to join the trip! Of course, since the trip is free, the deposit will be refunded within three-to-four weeks following the end of the trip. Birthright Israel has partnered with a company called “Payoneer” in order to collect and refund all trip deposits. As part of the official Birthright Israel application, you will be prompted to submit your deposit online via the Payoneer service. If you are not selected for a trip or if you cancel off a trip prior to the deadline, the $250 deposit will be refunded directly to your credit card or bank account. If you do take part in the program, you will be refunded directly to your credit card or bank account so long as you complete the program in full. Your application will ONLY be considered complete after you have submitted the online Birthright Israel Application, including the trip Waiver & Agreement as well as the $250 refundable trip deposit. The sooner you submit the application, the better your chances of getting on the trip that you want.